I was born in Garden City, Michigan and I have lived in Michigan most of my life, but I have also lived in Atlanta, Georgia and Chicago, Illinois for a couple years as well. I recently moved to California to pursue my career in education. I attended Michigan State University where I received my undergraduate degree in Family Community Services. In addition to completing my undergraduate degree program, I have a Master of Arts degree in Elementary Education, received from the University of Phoenix in the fall of 2014. I have experience with students using leveled reading materials and intervention strategies for students who are reading below grade level. 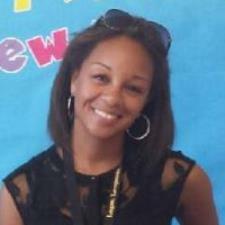 I currently teach first grade, with previous experience teaching transitional kindergarten. I have also worked with third grade students. I have training in reading intervention strategies that can help build upon trouble areas and get students headed in the right direction. Contact me for individualized instruction.